Episode 38 – Disney VIP Tour Guide and Writer Annie Salisbury Talks Life as a Tour Guide and Writing Disney Fiction! Welcome to this week’s show! Lately I’ve been on a real Disney reading kick, and I found a title that really caught my eye: “The Ride Delegate: Memoir of a Walt Disney World VIP Tour Guide” by Annie Salisbury. 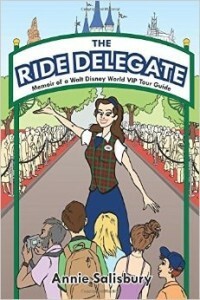 I loved the idea of a VIP tour guide being willing to peel back the curtain and show me the inner workings of a very special job in WDW…I was even more intrigued when I found out the author of the book also wrote another title I’d recently read, “Murder in the Magic Kingdom”! Now normally I don’t go for mixing murder with family vacation time, but in this case I couldn’t resist! Surprisingly, I not only liked the murder mystery, but even found that Annie’s insider knowledge of the Magic Kingdom made the pacing of her fiction novel move so quick and smoothlythat it became my favorite of the two titles! So I was very excited to have Annie agree to come on the show and talk about her time as a tour guide and how it propelled her along on her journey to write a mystery centered in her favorite park! We talk about tours, guests, what it takes to be a tour guide, and ultimately how her love of Disney and Walt Disney World stayed bright even after her decision to leave Florida and head back north. So strap in and enjoy, because if you’re a Disney Geek, you’re among friends here! Subscribe to the Show in iTunes HERE! 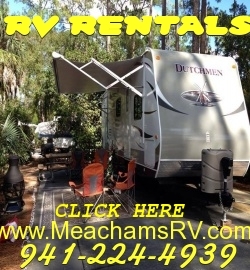 As always, we thank our sponsor MEACHAM’S RV! For a great Disney RV vacation, give them a call!